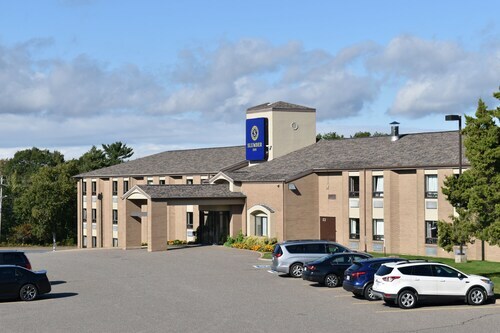 Situated in New Minas, this motel is within 3 mi (5 km) of Kentville Agricultural Centre and Blair House Museum, Lockhart and Ryan Memorial Park, and Kings County Museum. Ken-Wo Golf Club and CentreStage Theatre are also within 3 mi (5 km). 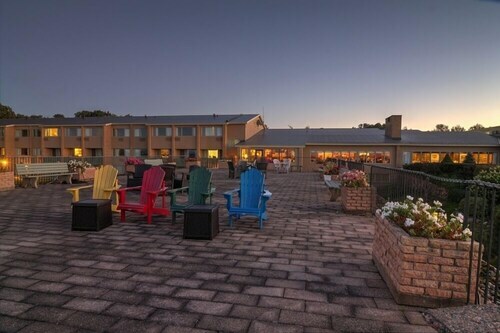 Situated in Wolfville, this spa inn is within 3 mi (5 km) of Hennigar's Farm Market, Harriet Irving Botanical Gardens, and K.C. Irving Environmental Science Centre. Ken-Wo Golf Club and Robie Tufts Nature Centre are also within 3 mi (5 km). Situated in Kentville, this vacation home is within 3 mi (5 km) of CentreStage Theatre, Kings County Museum, and Coldbrook Provincial Park. Kentville Agricultural Centre and Blair House Museum is 2.3 mi (3.7 km) away. Situated in Centreville, this bed & breakfast is 2.3 mi (3.6 km) from Eagle Crest Golf Course and within 6 mi (10 km) of CentreStage Theatre and Kentville Bird Sanctuary. Halls Harbour Sea Cave and Fox Hill Cheese House are also within 9 mi (15 km). Situated in Aylesford, this vacation home is 1.7 mi (2.8 km) from Oaklawn Farm Zoo and within 6 mi (10 km) of Clairmont Provincial Park and Berwick Heights Golf Course. Greenwood Military Aviation Museum and Paragon Golf and Country Club are also within 9 mi (15 km). Situated on the beach, this historic vacation home is 0.2 mi (0.3 km) from Halls Harbour Sea Cave and within 12 mi (20 km) of Charles MacDonald Concrete House Museum and Eagle Crest Golf Course. CentreStage Theatre and Black Rock Lighthouse are also within 12 mi (20 km). 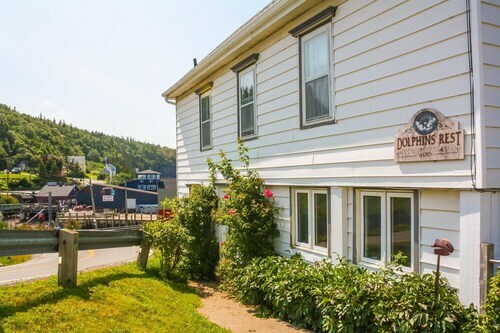 Situated on the beach, this vacation home is 0.3 mi (0.5 km) from Halls Harbour Sea Cave and within 12 mi (20 km) of Charles MacDonald Concrete House Museum and Eagle Crest Golf Course. CentreStage Theatre and Black Rock Lighthouse are also within 12 mi (20 km). 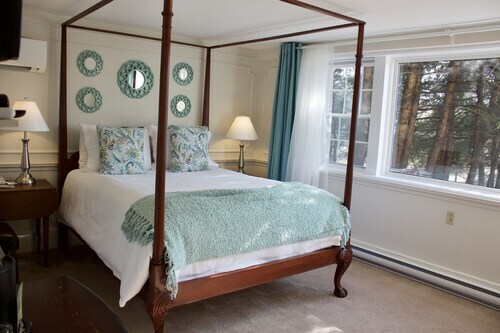 Situated near the beach, this bed & breakfast is within a 15-minute walk of Harriet Irving Botanical Gardens, K.C. Irving Environmental Science Centre, and Robie Tufts Nature Centre. Wolfville Farmers Market and Acadia University are also within 15 minutes.